Cyberpunk 2077 is a role-playing style game, based on the Cyberpunk line of tabletop games. Developed by CD Projekt Red Studio, the creator of Cyberpunk, Mike Pondsmith, has been brought in to work side by side with developers on the project. The game will be some form of open world RPG with a class system and style similar to that of the pen and paper game. The goal is to create a Cyberpunk game set in the far future where cybernetic enhancements have become commonplace and society is degrading. Full platforms and release dates have yet been announced, although the developers have said that the earliest release date we can expect for the game is sometime in 2015, and the platform list is widely expected to include as a minimum the PlayStation 4 and PC. 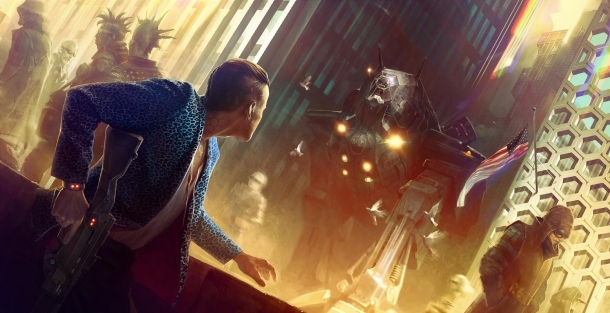 Cyberpunk 2077 is set in a decadent futuristic world, designed by CD Projekt Red to mix elements of futuristic, modern structures with elements of older buildings and features to make for a more realistic vision of the future. Cyberpunk 2077 is a western role playing game with a heavy emphasis on its cyberpunk-inspired, open world setting (called Night City) and character customisation.